Overlooking the Mediterranean sea and city of Malaga the Hotel Santa Catalina has the best view of the city and it’s only a brief taxi ride or short walk down the Malaga’s port, shopping and old town. Sitting on the hill Santa Catalina in the El Limonar part of town the Santa Catalina castle began life by order of King Felipe IV in 1624 as the ultimate viewpoint to keep watch for invaders. For a long time the unused castle fell into disrepair and was abandoned, later an Arab-style gentleman’s residence was built on the spot, retaining the castle ruins which lend a romantic feel to the now hotel grounds with over 3,500 metres of gardens and terraces. After being declared a listed building the hotel has without a doubt the best views of Malaga. 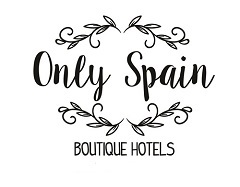 History, romance, best views and gorgeous well-preserved mansion make this a wonderful setting for a visit to the Costa del Sol and a great location for a wedding. My passion is antique Spanish tiles and they were in abundance in this lovely historic castle hotel to which I’d happily return.